Pack of 10 seeds for sowing from February to March. Grow this versatile and tasty little fruit in patio pots, in a sunny border or in the greenhouse. 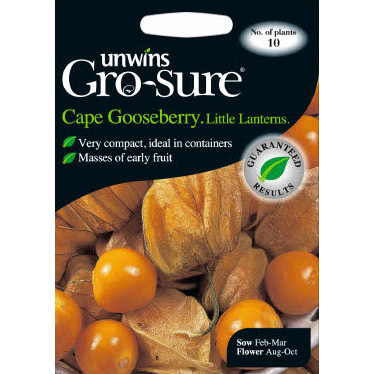 It's a compact variety that is easy to grow and produces masses of sweet and juicy berries, all encapsulated in pretty 'Chinese Lantern' cloaks.